Woot! 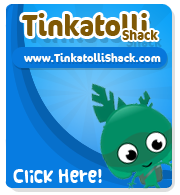 The last but one egg is hidded around TinkaTolli! We will show the location of the last 2 eggs because I want you guys want to get that badge! Here's a picture of Today's egg - The Stars Egg! Good Luck! Tomorrow the last egg will be hidded. As we heard, it's going to be the Luke Egg! I can't wait, It's my favorite egg! Tinka Pad Of The Week + Unscramble Contest! 5,000 Hits = 7 Days o' fun!